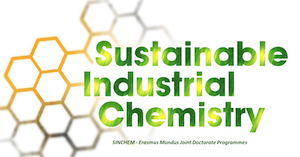 L. Grazia, D. Bonincontro, A. Lolli, T. Tabanelli, C. Lucarelli, S. Albonetti, F. Cavani – “Exploiting H-transfer as a tool for the catalytic reduction of bio-based building blocks: the gas-phase production of 2-methylfurfural using a FeVO4 catalyst“. Green Chemistry 9 (2017) 4412-4422. Shiming Chen, Siglinda Perathoner, Claudio Ampelli, Chalachew Mebrahtu, Dangsheng Su, Gabriele Centi – “Electrocatalytic Synthesis of Ammonia at Room Temperature and Atmospheric Pressure from Water and Nitrogen on a Carbon-Nanotube-Based Electrocatalyst“, Angewandte Chemie International Edition 56 (2017) 2699-2703. Siglinda Perathoner, Claudio Ampelli, Chen Shiming, Rosalba Passalacqua, Su Dangsheng, Gabriele Centi -“Photoactive materials based on semiconducting nanocarbons – A challenge opening new possibilities for photocatalysis”, Journal of Energy Chemistry 26 (2017) 207–218. Shiming Chen, Siglinda Perathoner, Claudio Ampelli, Chalachew Mebrahtu, Dangsheng Su, Gabriele Centi – “Room-Temperature Electrocatalytic Synthesis of NH3 from H2O and N2 in a Gas–Liquid–Solid Three-Phase Reactor“, ACS Sustainable Chemistry & Engineering 5 (2017) 7393–7400. Maria S. Gyngazova, Leila Negahdar, Lena C. Blumenthal, Regina Palkovits, “Experimental and kinetic analysis of the liquid phase hydrodeoxygenation of 5- hydroxymethylfurfural to 2,5-dimethylfuran over carbon-supported nickel catalysts“, Chemical Engineering Science 173 (2017) 455-464. Asja Pettignano, Santiago Grijalvo, Marleen Häring, Ramon Eritja, Nathalie Tanchoux, Françoise Quignard, David Díaz Díaz, “Boronic acid-modified alginate enables direct formation of injectable, self-healing and multistimuli-responsive hydrogels“. Chemical Communications 23 (2017) 3350-3353. Asja Pettignano, Marleen Häring, Luca Bernardi, Nathalie Tanchoux, Françoise Quignard, David Díaz Díaz, “Self-healing alginate–gelatin biohydrogels based on dynamic covalent chemistry: elucidation of key parameters“. Materials Chemistry Frontiers 1 (2017) 73-79. Asja Pettignano, Nathalie Tanchoux, Thomas Cacciaguerra, Thierry Vincent, Luca Bernardi, Eric Guibal, Françoise Quignard – “Sodium and acidic alginate foams with hierarchical porosity: Preparation, characterization and efficiency as a dye adsorbent“, Carbohydrate Polymers 78 (2017) 78-85. Emilia S. Streng, Darren S. Lee, Michael W. George and Martyn Poliakoff, “Continuous N-Alkylation Reactions of Amino Alcohols using γ-Al2O3 and supercritical CO2; Unexpected Formation of Cyclic Ureas and Urethanes by Reaction with CO2”, Beilstein Journal of Organic Chemistry 13 (2017) 329–337. Bhanu Chandra Marepally, Claudio Ampelli, Chiara Genovese, Francesco Tavella, Laurent Veyre, Elsje Alessandra Quadrelli, Siglinda Perathoner, Gabriele Centi – “Role of small Cu nanoparticles in the behaviour of nanocarbon-based electrodes for the electrocatalytic reduction of CO2”, Journal of CO2 utilization 21 (2017) 534-542. Bhanu Chandra Marepally, C. Ampelli, C. Genovese, Tapish Saboo, S. Perathoner, F.M. Wisser, L. Veyre, J. Canivet, E.A. Quadrelli, G. Centi, Enhanced formation of C1 Products in Electroreduction of CO2 by Adding a CO2 Adsorption Component to a Gas-Diffusion Layer-Type catalytic electrode, ChemSusChem, 10(22), 2017, 4442-4446. Giuliana Rubulotta, Kylie L. Luska, César A. Urbina-Blanco, Tobias Eifert, Regina Palkovits, Elsje Alessandra Quadrelli, Chloé Thieuleux, Walter Leitner – “Highly Selective Hydrogenation of R-(+)-Limonene to (+)-p-1–Menthene in Batch and Continuous Flow Reactors“, ACS Sustainable Chemistry & Engineering, 5 (2017) 3762-3767. Marco Piumetti, Samir Bensaid, Tahrizi Andana, Melodj Dosa, Chiara Novara, Fabrizio Giorgis, Nunzio Russo, Debora Fino – “Nanostructured Ceria-Based Materials: Effect of the Hydrothermal Synthesis Conditions on the Structural Properties and Catalytic Activity”. Catalysts 7 (2017) 174. Tahrizi Andana, Marco Piumetti, Samir Bensaid, Laurent Veyre, Chloé Thieuleux, Nunzio Russo, Debora Fino, Elsje Alessandra Quadrelli, Raffaele Pirone, “Small Cu nanoparticles supported by ceria for NOx-assisted soot oxidation: insight into catalytic activity and sintering”, Applied Catalysis B: 216 (2017) 41 – 58. S. Hernandez, C. Ottone, S. Proto, K. Tolod, M. Diaz de Los Bernardos, A. Sole-Daura, J. J. Carbo, C. Godard, S. Castillon, N. Russo, G. Saracco, C. Claver -“Core-substituted naphthalenediimides anchored on BiVO4 for visible light-driven water splitting“, Green Chemistry, Vol. 19 (2017), 2448-2462. F. Carraro, O. Vozniuk, L. Calvillo, L. Nodari, C. La Fontaine, F. Cavani, S. Agnoli – “In operando XAS investigation of reduction and oxidation processes in cobalt and iron mixed spinels during the chemical loop reforming of ethanol“, Journal of Materials Chemistry A 5 (2017) 20808-20817. Olena Vozniuk, Cristian Bazzo, Stefania Albonetti, Nathalie Tanchoux, Françoise Bosselet, Jean-Marc Marie Millet, Francesco Di Renzo, Fabrizio Cavani “Structural changes of binary/ternary spinel oxides during ethanol anaerobic decomposition” CHEMCATCHEM 9 (12) (2017) 2219-2230.